About 3.000 merchants and businessmen from Gaza are still banned from travelling since Israeli occupation authorities suspended their travel permits. For two years, now, only 800 merchants are allowed to travel, the head of civil affairs department Saleh al-Zeq said. Al-Zeq stressed the importance of the efforts that the department paid to facilitate the movement of the merchants from and to Gaza Strip. The task of overcoming obstacles and challenges imposed by the Israeli side on the movement of businessmen and traders is the top priority of the Civil Affairs Authority, al-Zeq said. He added, according to Al Ray Palestinian Media Agency, that the authority recognizes the important role that the private sector plays in developing the national economy. He explained that there are instructions from the head of the Civil Affairs Authority, Hassan Ashiekh, to address the problems of the movement of people and goods to and from the Strip. He pointed out that the Israeli side has, for two years, raised the age group of traders and businessmen who are subjected to security from 35 to 55 years. This means that every applicant for a travel permit under the age of 55 is subject to a security check and Israeli approval to grant a travel permit. Al-Zeq said that the authority got an administrative approval from the Israeli side to increase the number of traders who get the BMC card to 200 , while the number of traders who have the BMC card is 250. He noted that, four years ago, the number of traders who got the BMC card was 500. Such a card needs an Israeli security approval, as well as administrative approval. He said that there is no a specific time for reopening Rafah crossing, reaffirming the statement of Hassan al-Shiekh that the Rafah crossing will be opened when the security conditions be appropriate in both Egyptian and Palestinian side. Head of the Palestinian energy authority Dhafer Melhem said it would take years to supply the Gaza Strip with 100 percent of its electricity needs. 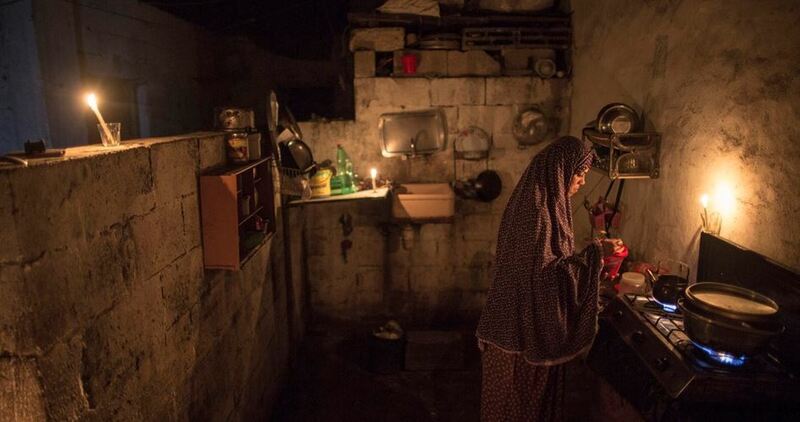 According to him, a plan is being prepared for the rehabilitation of the electricity distribution networks in Gaza as a prelude to submitting it to the cabinet for approval and then working on getting the necessary funding from donor parties. Israeli Occupation Forces (IOF) on Tuesday morning handed over confiscation orders to farmers in Shoufeh town to the southeast of Tulkarem city. The confiscation notices stipulate seizing more Palestinian lands in the area for expanding Avnei Hefetz settlement, which was illegally established over the town's land in eastern Tulkarem. Local sources pointed out that the confiscation decision includes the takeover of three land lots: part of Khalet al-Sheikh site, Wadi Issa, and al-Manzel site. 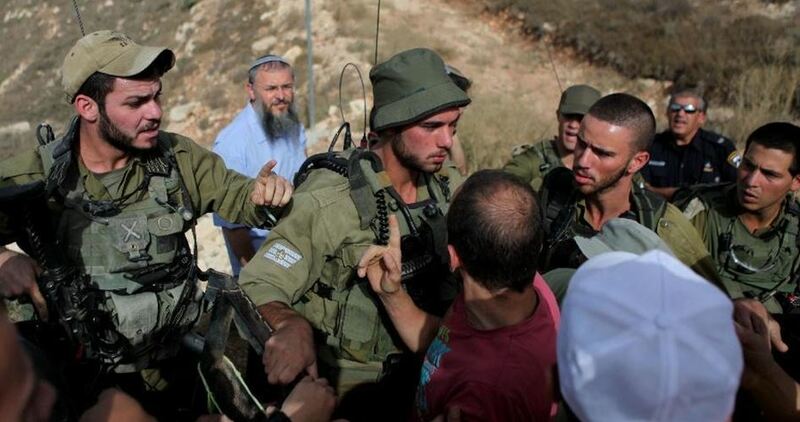 Groups of Jewish settlers escorted by Israeli Occupation Forces (IOF) stormed the Old City of al-Khalil on Tuesday morning and attacked Palestinian citizens. The PIC reporter said that IOF soldiers closed a number of shops, checked the IDs of the Palestinian youths at their entry to the Old City and arrested Khalil al-Tamimi, 18, and took him to an unknown destination. 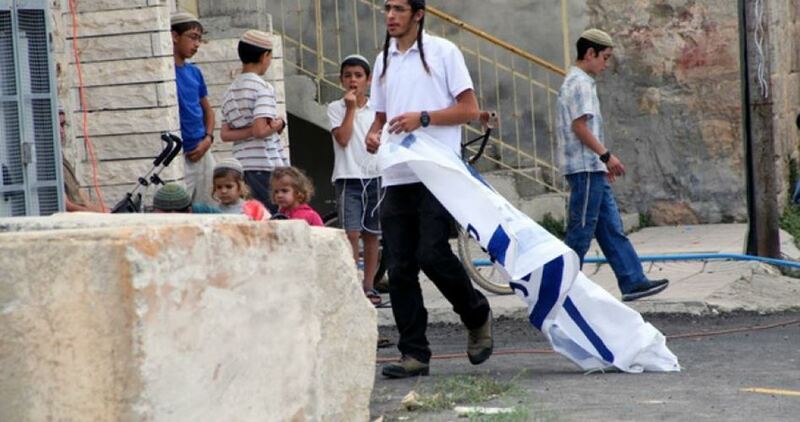 Settlers, from the illegal settlement outposts in al-Khalil: Beit Hadassah, Beit Romano and Tel Rumeida, broke into the historic area in the city and attacked shops’ owners and the passingby Palestinians. 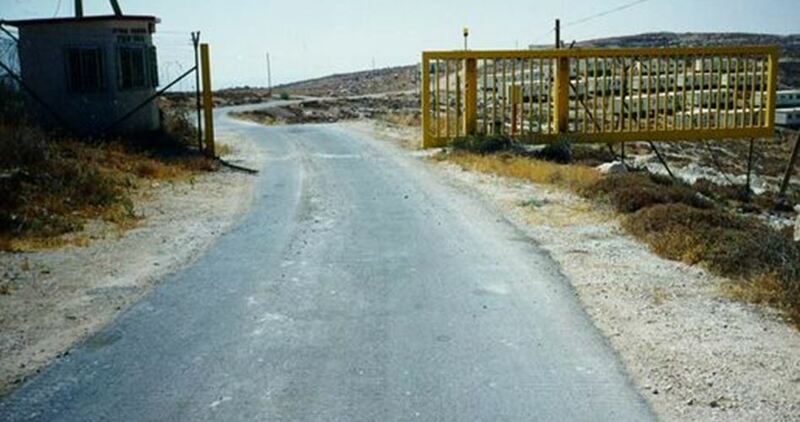 The Israeli occupation forces (IOF) on Monday set up a new iron gate in Ras al-Ahmar area on al-Beqi'ah plains, south of Tubas in the northern West Bank. Local activist Moataz Bisharat said that the gate was aimed to separate the Palestinian-owned lands on al-Beqi’ah plains and the northern Jordan Valley from each other. Bisharat noted that the gate would make it difficult for landowners to move between the two areas. Earlier on the same day, an Israeli bulldozer razed an agricultural road used by Palestinian farmers in the same area, which caused damage to a water pipeline. 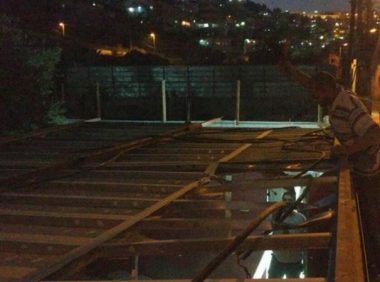 A Palestinian man from Ein al-Louza neighborhood in Silwan town, south of the Al-Aqsa Mosque, in occupied Jerusalem, demolished his own store, on Monday evening, to avoid excessively high fines and fees by the City Council. The Palestinian, Amin Al-Abbassi, said he had to self-demolish his building, after the City Council decided to demolish it, and granted him two weeks to do so, or else face excessive fines and fees, in addition to facing legal issues in its courts. 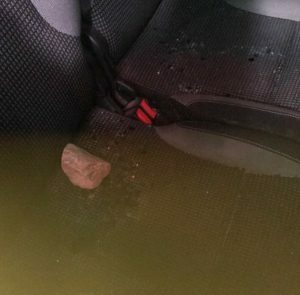 A group of Israeli colonists hurled stones, on Monday evening, at many Palestinian cars, wounding two residents after smashing the front shields of their cars, near Nablus, in northern West Bank. 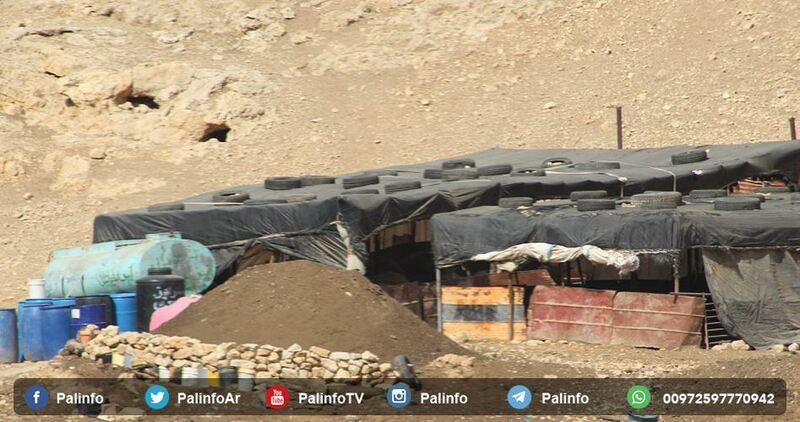 The colonists attacked the Palestinian cars near Huwwara military roadblock, south of Nablus. The attacks led to the injury of the two Palestinians, and caused damage to several cars. Furthermore, a group of colonists attacked Palestinian farmers in Kufur Qalil village, near Huwwara; there have been no reports of physical injuries. Teams of Israeli municipality of Jerusalem escorted by Israeli military forces on Monday broke into al-Issawiya town, northeast of Occupied Jerusalem, and took photos of five Palestinian commercial facilities including a pharmacy. The Palestinian activist in the town, Mohammad Abu Al-Hummus, said that Israeli forces hanged an evacuation notice stipulating eviction and removal of a commercial container in the town. 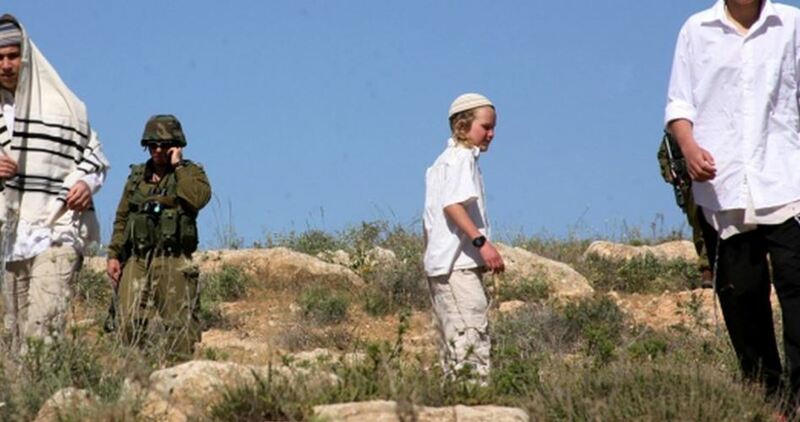 Israeli settlers on Sunday morning leveled Palestinian lands in Asira al-Qibliyeh town, south of the northern occupied West Bank province of Nablus. 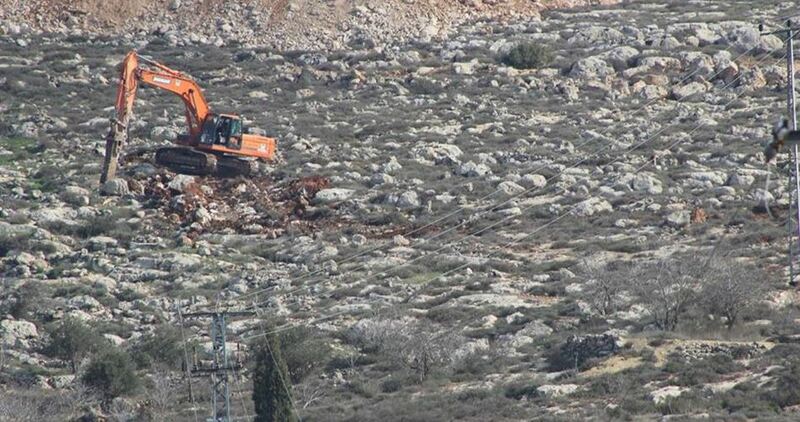 Head of Asira al-Qibliyeh Village Council, Hafedh Saleh, told a PIC news correspondent that an Israeli bulldozer razed Palestinian land tracts near the illegal settlement outpost of Yitzhar, built on Palestinian lands in the area. According to Saleh, the measure makes part of Israeli attempts to expand the aforementioned settlement, built in 2002 and comprising makeshift homes and structures for raising livestock. He added that the bulldozing activity, carried out under the supervision of Israeli army patrols, had been carried out at a distance of less than 150 meters away from Palestinian homes and residential facilities. 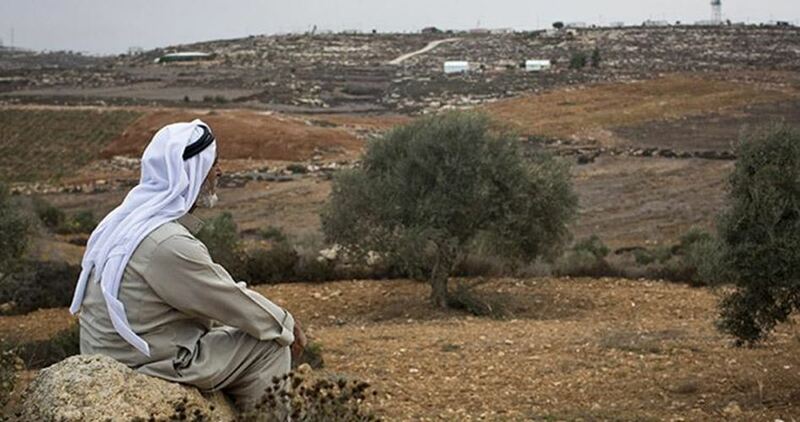 Israeli settlers on Sunday razed privately-owned Palestinian lands in Asira al-Qibliya village in Nablus province. 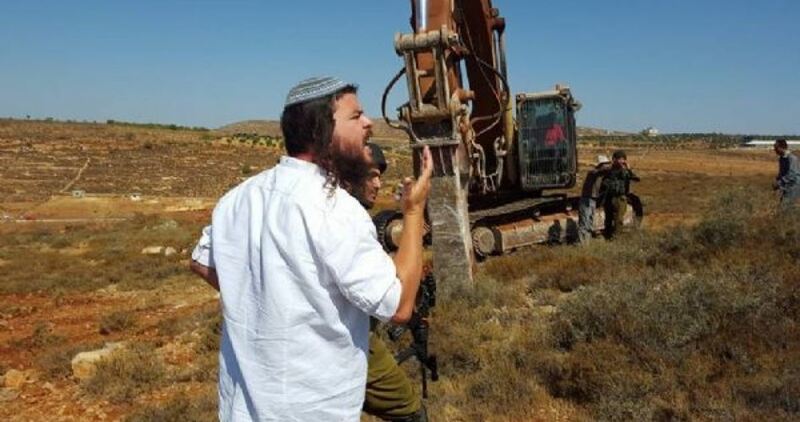 Head of the Asira al-Qibliya village council, Hafez Saleh, said that a group of Israeli settlers broke into Jabal Salman area and started to bulldoze Palestinian citizens' lands. Saleh explained in statements to Quds Press that the bulldozing operations were carried out in lands that Palestinians are denied access to under the pretext that they are close to the outposts belonging to Yitzhar settlement. He pointed out that no intervention was witnessed from the Israeli soldiers stationed in a nearby camp to stop the settler aggression. 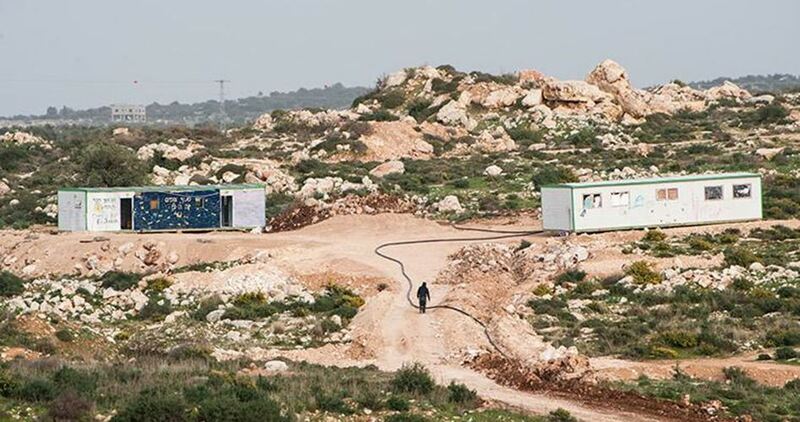 Hafez added that he has contacted the Wall and Settlement Resistance Committee and other concerned institutions to work to put an end to the Israeli settlers' attempts to expand one of the settlement outposts established in the area. The Israeli occupation forces (IOF) on Thursday confiscated agricultural equipment belonging to some farmers in Qaryut village, south of Nablus in the West Bank. Local activist Bashar al-Qaryuti told the Palestinian Information Center (PIC) that Israeli troops stormed the village and detained a group of farmers during their presence on an agricultural road in al-Shu’ab area before confiscating their equipment, with no reason. Consequently, a brief brawl broke out between the farmers and soldiers, with no reported arrests. The Israeli occupation forces on Friday morning ordered Palestinian families to evacuate their facilities in the northern Jordan Valley, putting into effect a recently-issued land grab order. Local sources told the Palestinian Information Center that Israeli soldiers ordered Palestinian communities setting up roots in Ein al-Hilweh and Umm al-Jamal, in the Jordan Valley, to leave the area in no more than eight days following an order to seize a set of land tracts. Israel’s military chief of staff gave instructions for the confiscation of Palestinian land lots in Ein al-Hilweh and Umm al-Jamal and for the evacuation of all residential communities by next week. In case the inhabitants object the order, they will have all of their properties in the area seized by the announced deadline. Ein al-Hilweh community is home to 10 Palestinian families and 25 civilian facilities. Umm Jamal community is home to 15 Palestinian families and 40 facilities. Located some 18 kilometers away from eastern Tubas, Ein al-Hilweh, in al-Malih Valley, is rich with natural resources, most notably water springs and fertile soil. However, as time has passed by, the springs have gone dried out as a result of Israel’s unabated settlement activity in the area. Israeli soldiers abducted, on Thursday at dawn, eight Palestinians, including a young woman and her brother, from their homes in several parts of the occupied West Bank, including in occupied East Jerusalem. Media sources have reported that dozens of soldiers invaded Hizma town, northeast of Jerusalem, searched homes and abducted Mirvat Khattab Khatib, and her brother Suleiman, and took them to an interrogation center in Jerusalem. 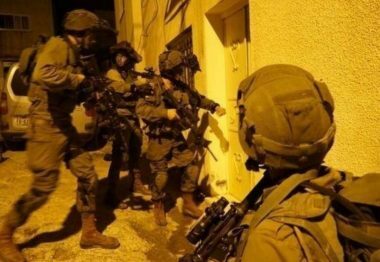 The soldiers also invaded and searched homes in ‘Aida refugee camp, north of the West Bank city of Bethlehem, and abducted one man, identified as Khader J’eiwy, 55. In addition, many army jeeps invaded Qabatia town, before the soldiers searched homes, and abducted five young men, identified as Mustafa Yousef Zakarna, Mahmoud Ali Zakarna, Ahmad Sati Abu ar-Rob, Mustafa Omar Abu ar-Rob and Jawad Ahmad Kamil. The soldiers also installed many roadblocks on roads south of Jenin, before stopping and searching cars, and interrogated many Palestinians while inspecting their ID cards. 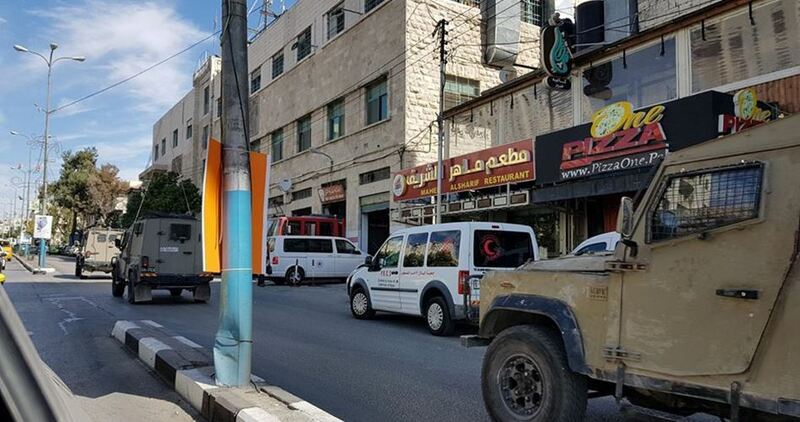 In Hebron governorate, in the southern part of the occupied West Bank, many army jeeps invaded Beit Ummar town, north of Hebron city, before the soldiers invaded and ransacked homes in Khallet al-‘Ein and ‘Aseeda areas, in the center of the town. Owners of some of the invaded homes have been identified as Ahmad Rashid Sabarna, Yousef Ekhdeir Awad, Issa Safi Sleibi, and Issa Hammad Sleibi. 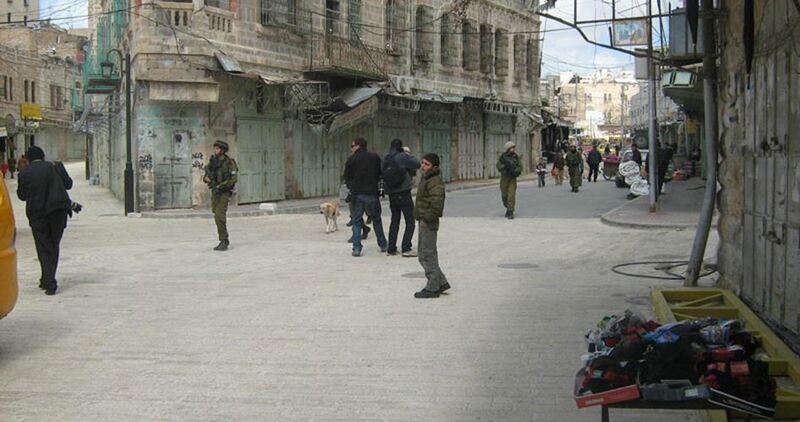 The soldiers also invaded a bakery in Beit Ummar, and detained the workers while inspecting their ID cards. Israeli bulldozers stormed and razed Wednesday morning a Palestinian-owned commercial facility in occupied Jerusalem for the third time. 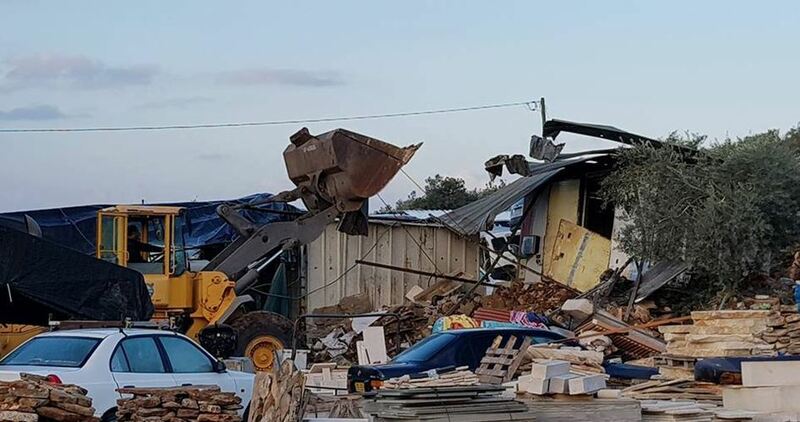 According to Quds Press, Israeli military bulldozers escorted by Israeli police forces broke into the area and raided Harhash car exhibition after vacating it of all cars. The bulldozers later started sweeping the area of about 1,000 square meters. Harhash family established the car exhibition in 2006 and managed to get Israeli permit in 2008. However, Israeli municipal authorities have been working to confiscate the area with the aim of turning it into a bus station for the nearby settlements. Israeli bulldozers on Tuesday knocked down a one-room house and an agricultural facility in Beit Dajan village, in the northern Jordan Valley. Activist Aref Daraghma said Israeli bulldozers reduced a residential facility and a greenhouse to rubble. The razed facilities belong to the Palestinian citizens Kasem and Basem Abu Jeish. Earlier in the day, the Israeli occupation forces demolished Palestinian homes and agricultural facilities in al-Jeftlik village, in the Jordan Valley.